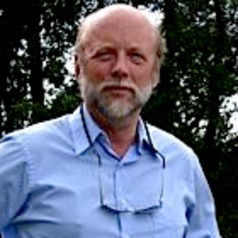 A western professional GEOLOGIST (U.S. Geological Survey 1975-1979) from Alaska, California, and Seattle morphed into a New England PROFESSOR (1984-2019) via teaching stints in Wisconsin and Alaska, with visiting stints at Harvard (American Studies), Yale (History), Dartmouth (Geography), and Universidad Tecnica Federico Santa Maria in Valparaiso, Chile (Obras Civiles). AUTHOR of 7 books (Harvard, Bloomsbury, Houghton Mifflin Harcourt, Walker, Tilbury House) with solo and shared awards. Freelance and contract JOURNALIST, writing on environment/education/landscape, with a 15 year gig at the state's flagship daily, the Hartford Courant, with solo and shared awards. University of Washington ( Seattle), Ph.D. Fellow, Geological Society of America. Member, American Antiquarian Association.